What is the fairest way of allocating road space? Photo by Li'l Wolf. 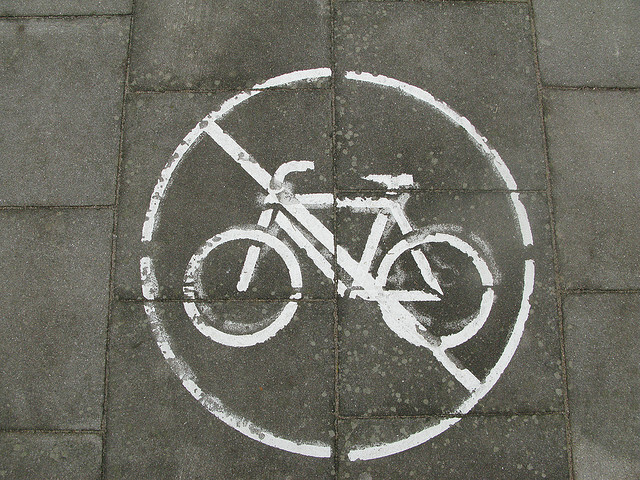 A small town in Wisconsin has been getting quite a bit of attention for considering a ban on bicyclists and pedestrian traffic from certain roads. A public safety committee in Hull, Wis., a town with a population of only about 6,000 people, drafted an ordinance that would require groups of bikers, runners and walkers to register travel plans with the town prior to traveling. Hull’s example may not be totally relevant to the transport struggles of larger cities, where the interweaving of multiple road users is ever more present. However, this case can perhaps start a dialogue about the relationship of road users to one another and to public space. The town attributes the reason behind its proposed law to complaints from private vehicle drivers, as well as to safety concerns for vulnerable road users. However misguided, it seems that the effort to pass the ordinance is coming from a good place. You can read the Public Safety Task Force Minutes from the September 15 meeting here to understand how the discussion led to the proposed law. Plus, Grist argues, there have not been any crashes involving a bike or a pedestrian since 2008. The case in Hull is not unique. Similar small towns have dealt with protecting and allocating safe space to all road users. For example, the city of Denton in Texas passed an ordinance requiring cars to leave a 3-foot passing distance for cyclists. Read our coverage of this ordinance here. What’s your opinion on Hull’s proposal? How does your city deal with multiple road users? What would you do differently?